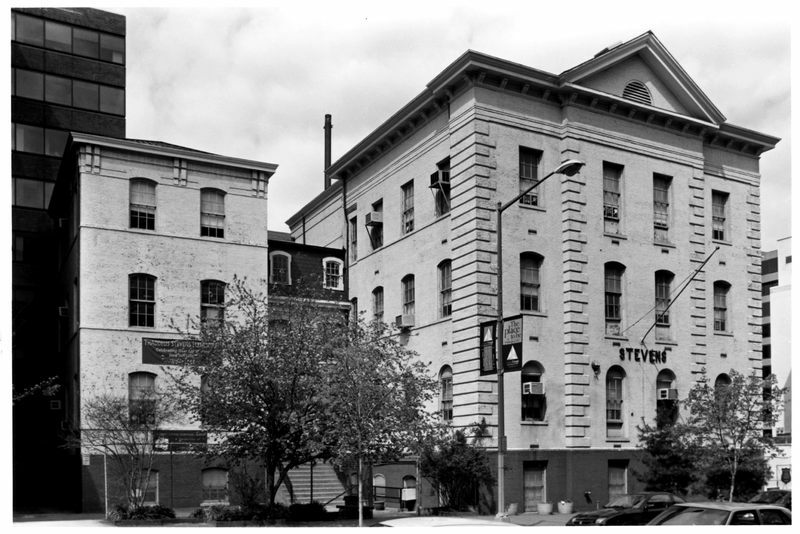 Thaddeus Stevens School was the first public school building in the District providing facilities for African Americans considered comparable to those provided for white students. 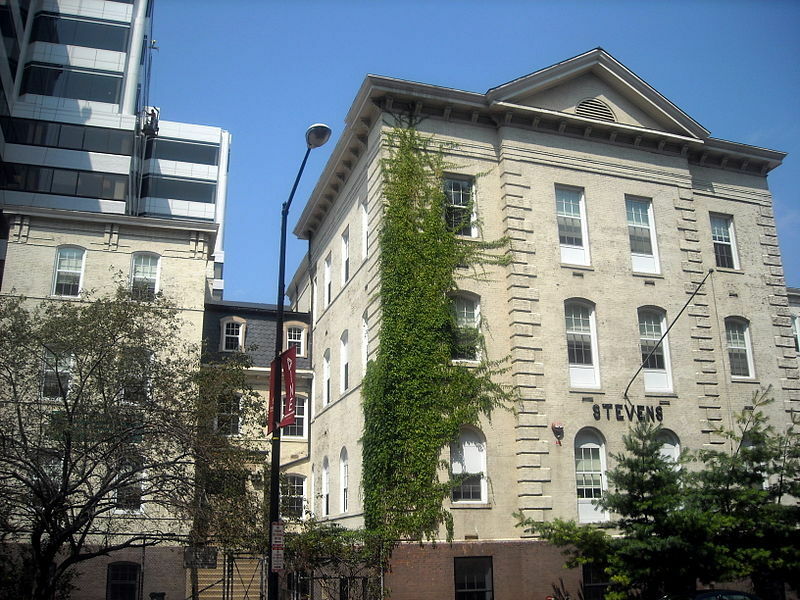 Built in 1868, enlarged in 1885 and partially rebuilt and enlarged in 1895-1896, Stevens School is the oldest surviving elementary school in the District of Columbia still in its original use as an elementary school. Named after Pennsylvania Congressman and abolitionist Thaddeus Stevens, it was built originally for African-American students as part of a racially segregated public school system. 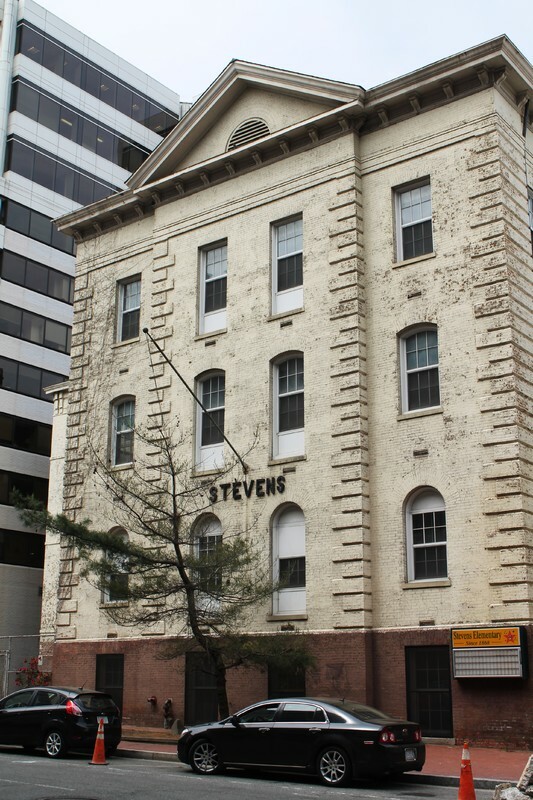 Stevens School exemplifies the struggle for equal educational opportunities for African Americans in the District of Columbia after emancipation. It originally served a diverse West End community composed of both recently arrived freedmen and African Americans who had been free for generations. When office towers replaced much of the residential neighborhood in the 1950s and 1960s, Stevens preserved its traditional role through an innovative extended day care program for the children of its new office-worker neighborhood. Stevens’ alumni have distinguished themselves both nationally and in their communities including historian Hayford Whittingham Logan, Colonel Campbell C. Johnson, Roberta Flack (singer), Ralph “Petey” Green (radio and TV personality) and Robert Hooks (actor). Students from all wards of the city attend Stevens today, many of them the descendants of earlier Stevens students whose parents are preserving a family tradition of educational excellence in an historic setting. Stevens is located only a few blocks from the White House, and President Jimmy Carter's daughter Amy attended Stevens when her father was in office. The design of the building reflects its evolutionary process and has not varied in any significant manner since 1896, aside from expansion of the playground in 1931 and 1932. Although the original architect is unknown, the plans for the building and all subsequent alterations were under the supervision of Edward Clark, who served as Architect of the Capitol from 1865 until 1902. The alterations of 1885 and 1895-1896 were designed and carried out by the Office of the Building Inspector under Thomas B. Entwhistle. The Thaddeus Stevens School today has the appearance of a Georgian Revival building with a Palladian five-part plan. The red brick three-story and basement main block is taller than the other elements. It is brought substantially forward to the building line, dominating and integrating these earlier elements into a single composition. The slate roof is hipped with deck, eyebrow dormers and projecting flues. The 1885 wings are transitionally Romanesque, red brick, three stories and basement high, with two bays facing 21st Street. The entrances reflect the Second Empire style of the original building and probably reused original materials removed when they were built. 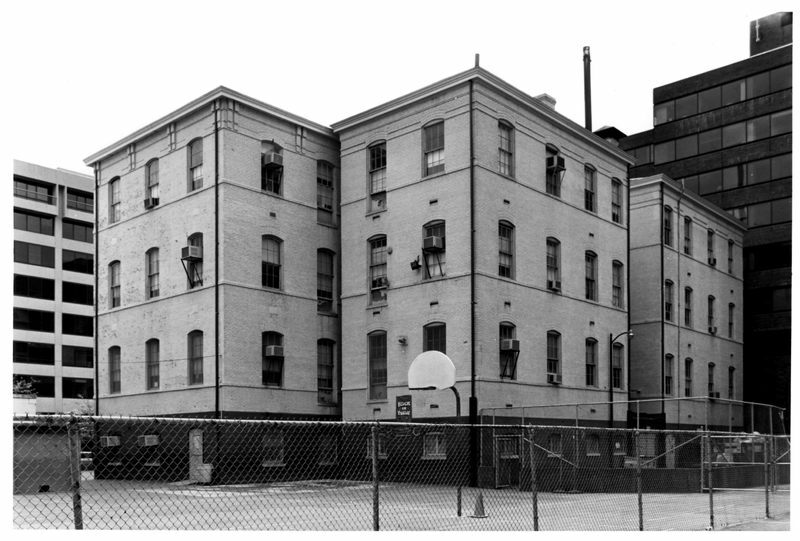 Two additional three-story wings were sited compactly at the rear of the building in 1896, providing six additional classrooms over basements which were used originally as boys' and girls' lavatories. 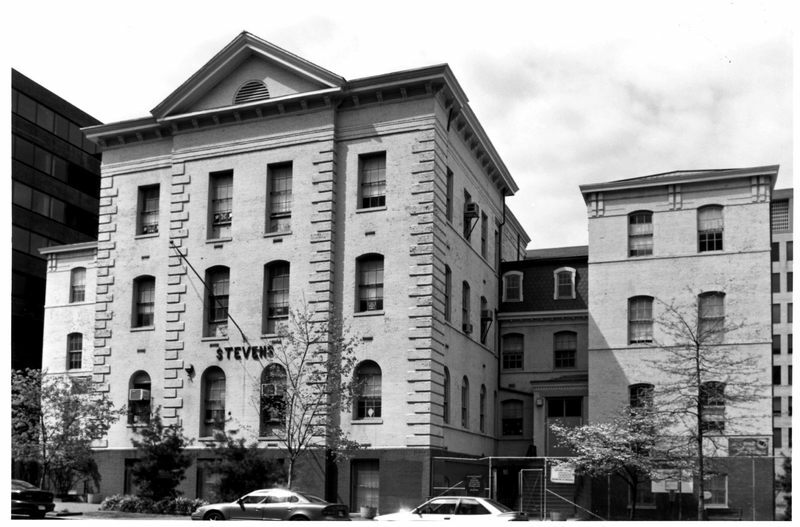 “Thaddeus Stevens School,” DC Historic Sites, accessed April 24, 2019, https://historicsites.dcpreservation.org/items/show/573.